SUNSET PARK – Anita Bulan immigrated to America 15 years ago with her now ex-husband. She was born and raised in Australia, but the island never felt like home. Fortunately for her, she found a home in Sunset Park. Now, she spends her days running a non-profit organization, encouraging people to vote, taking part in the community board, empowering children, and loving her daughter. Bulan grew up in Melbourne, Australia. A first-generation Australian, born to a Greek mother and Armenian father (who were, in turn, both born in Turkey), she spent her childhood in the water – swimming and fishing. Her dad had a little boat and on most weekends, he’d take them out to fish. Bulan lived in the suburbs in a house with a nicely trimmed front yard. It was a very middle-class neighborhood. And she was very tired of it. Fortunately for her, her now ex-husband felt the same way. They had started a small media production company and were traveling a lot outside the country for work. One day, they decided to just pick everything up and leave for the U.S. Her first home was in Manhattan’s West Village. In 2007, she moved to Brooklyn. And it was for the same reason she moved to the U.S. “There has to be more than this,” she remembered thinking. She initially moved to Carroll Gardens and loved it. There was an old Italian couple that lived in the downstairs apartment and would bring them homemade wine. The neighborhood quickly became unaffordable and she moved to Ditmas Park. She got pregnant. Though Ditmas Park was another great community, she found and bought an apartment in Sunset Park. And she has stayed there ever since. She said people often tell her she lives like how people lived in 1950s suburban America. Her apartment door is usually unlocked as kids from the three nearby buildings run between houses. Last Saturday morning, Bulan’s neighbor from across the hall texted her asking if she had a potato. About three years ago, Bulan started playing an active role in her community. First, she became more involved with Community Board 7. Soon enough, she was appointed to three committees: Asian Affairs, Access & Abilities, and Immigration. She also worked on State Senator Zellnor Myrie’s campaign as well as for Genesis Aquino, who ran for District Leader. 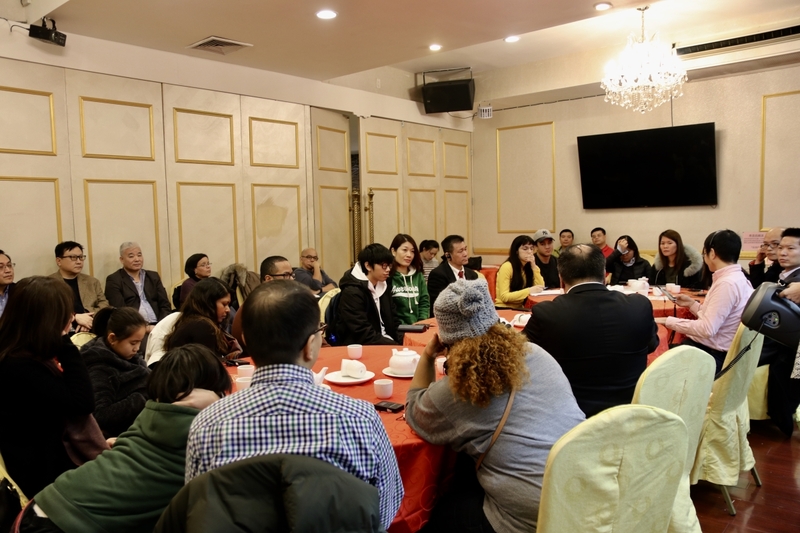 On this particular day, Bulan was making her debut as vice-chair of the Immigration Committee of CB7. For Bulan, the trigger for her community and political involvement was the election of President Trump. She would attend protests with her daughter, though she admits that now she has scaled back. There are other ways to protest than just marching, she said. Bulan remembered the moment she found out about the Muslim Ban two years ago. One of her close Muslim friends was going to do a reading of her work for the first time ever. Then, the Muslim Ban was announced. Bulan said it was devastating. She said she knew a lot of people who were directly impacted. But she also feared for herself. Does this mean she can never leave this country again even though she isn’t Muslim? Bulan is currently not a U.S citizen, therefore she is not eligible to vote. But that does not mean she doesn’t push people to do so. On September 19, 2017, a 7.1-magnitude earthquake tore into Puebla, Mexico. Over 216 people were killed and homes were destroyed. Bulan couldn’t just sit back and watch. 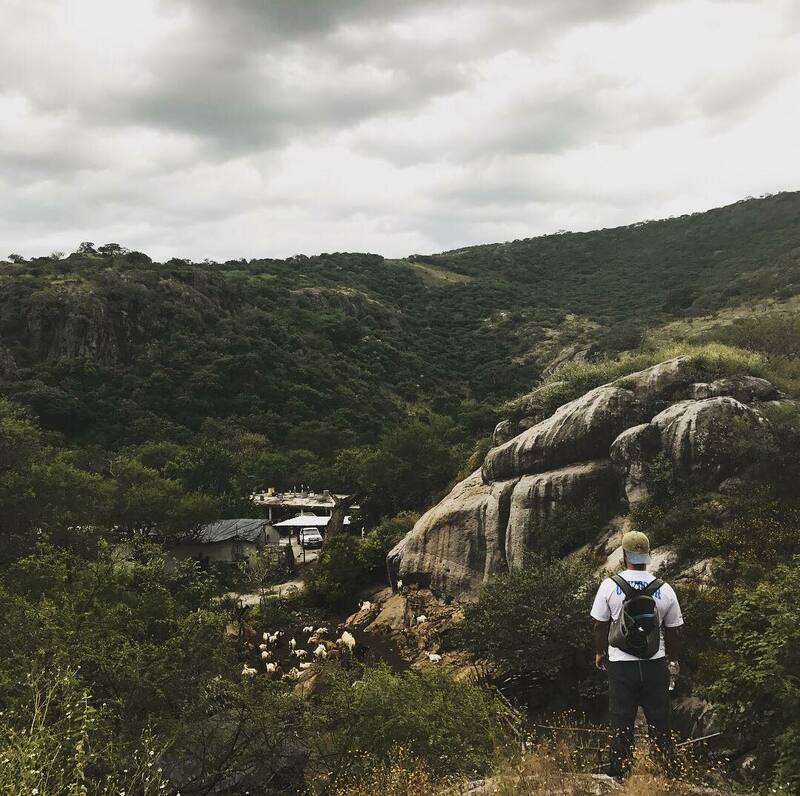 About a month after the devastating earthquake, the chairperson of CB7, Cesar Zuñiga, organized a trip for two groups of five people each to go visit two towns that were affected in Mexico. They quickly gathered the community to help with donations and to raise money for supplies. Then, they were off. Bulan’s group went to a tiny village in the mountains of Puebla with a population of about 230 people. 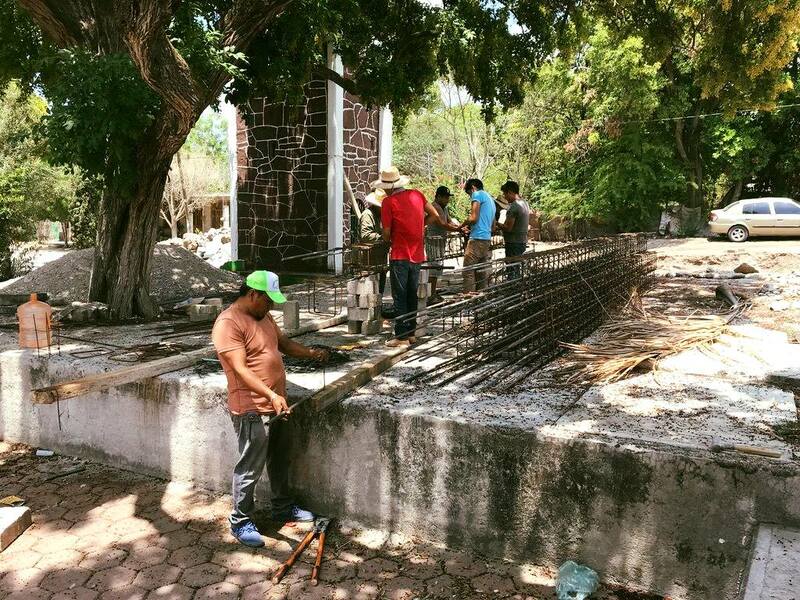 Over the week they were there, they did very physical work. They helped clean up and met with the entire community to see what was needed for the long term. When the two groups got back to the U.S, they sat down together and discussed what they had seen and what they could do. Direct Impact Coalition was born. “We created Direct Impact Coalition as a way to formalize the reconstruction in those two communities,” Bulan said. She had thought of the name and took care of the administrative side of the non-profit organization. Together, they planned to ultimately build one sustainable home that could withstand earthquakes in each of the two communities. It should cost very little to run, yet have enough room for the families. To cover the costs, they had a fundraiser and ended up raising $12,000 in a month. Unfortunately, that was not enough to build even one home. So, they decided to split the money between the two towns. 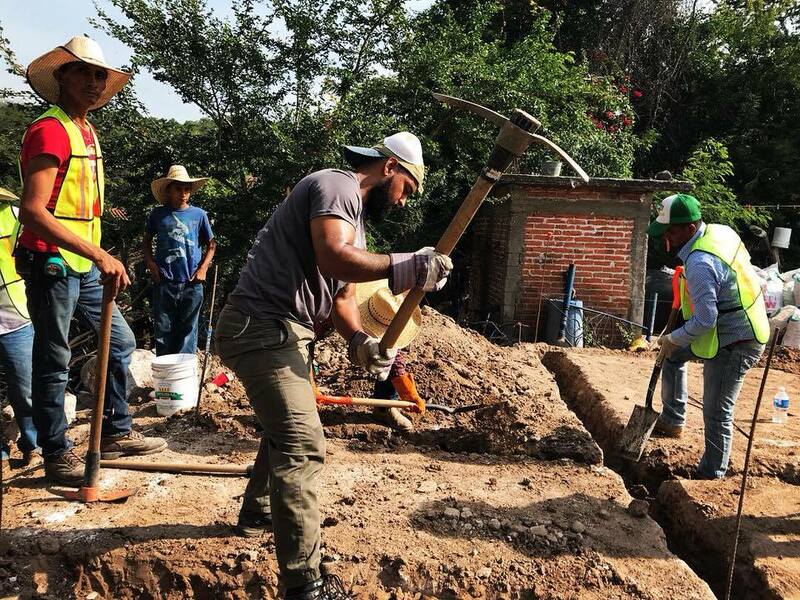 For the tiny mountain village in Puebla, the money went to building a community center. In the other town, it went to rebuilding a church that was knocked down. Bulan had gone to Mexico to personally hand deliver the checks. She went alone because everyone else had bailed. They all have lives and families, she said. “I gave them the money and then I felt like my work there wasn’t done. In a way, I found my calling and I wanted to do more.” And so she did. When she got back, she asked if she could take over Direct Impact Coalition completely. She said the organization already felt like it was hers. Nobody had any objections. On June 3, 3018, there was a huge volcanic eruption in Guatemala. Over 1.7 million people were affected and 165 were killed. So, Bulan and Direct Impact Coalition did a fundraising drive. “It was literally me asking the community board to house donations of medical supplies, then filling up my car and trying to figure out who could ship all this stuff to Guatemala,” she said. Bulan found a woman in the Bronx whose entire kids’ closet was filled with donations she had gathered. The woman explained to Bulan how the donations will get to the country, who will take them, etc. 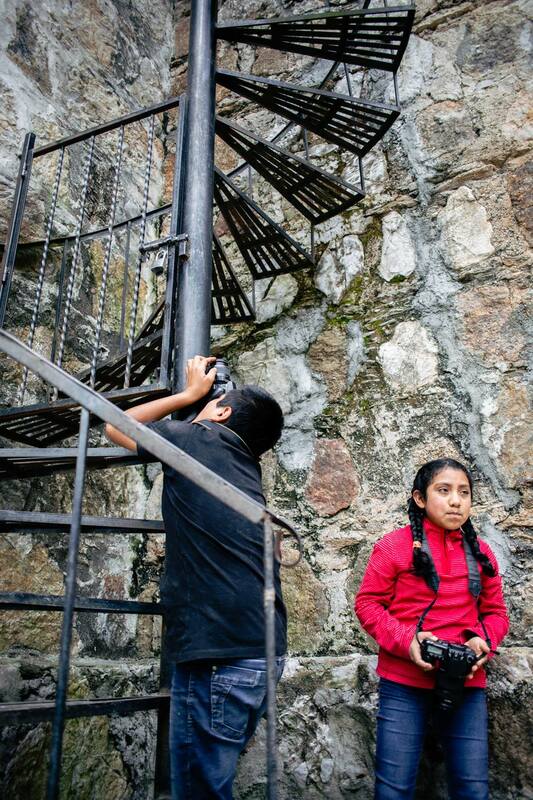 A few months later, a photographer who she knew from work, Marko Jokic, reached out to her because he was aware of the work she did in Guatemala and Mexico. He said to her, “Wouldn’t it be great to be able to do some sort of photography workshop for these indigenous kids in a community in Mexico that I go to every year?” Bulan recalled. Bulan thought it very much fits in with what Direct Impact Coalition does. And since she, herself, is super into photography and trusted him as a partner, she said yes. In a span of a month, they raised almost $3,000 and five cameras. They picked up their things and went to another town in the mountains of Mexico, Tamazulapam del Progreso. 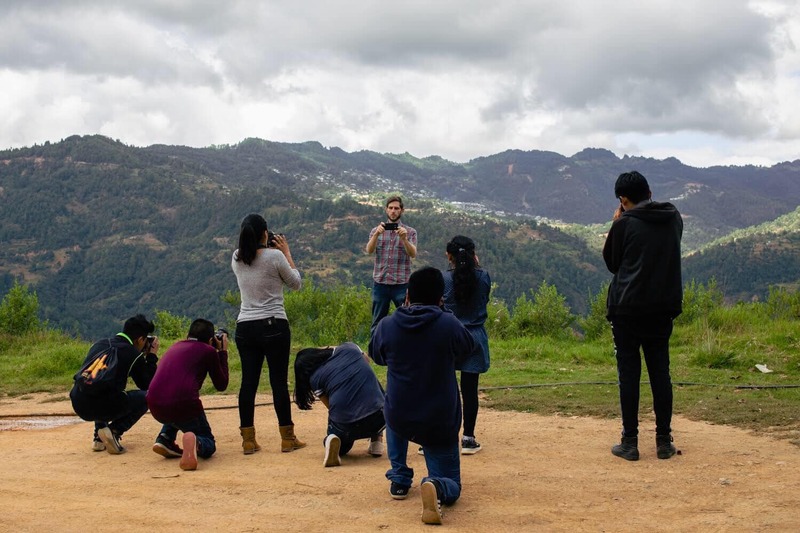 In two weeks, they found eight students to do the class, a local photographer who’d teach them, and set up a curriculum. They let the 2,000-member town in the loop and signed the kids up for eight classes. The kids ranged from ages 10 to 22 and all of them had never picked up a camera before. Bulan is currently planning to have an auction or sale of the photographs the kids created to fund the next round of classes. She also plans on bringing the same program to Sunset Park. She said they’ll be bringing in guest photographers every week to train them on how to use a camera. But the main purpose? What is it about Mexico that keeps bringing her back? Her friends call her the defacto Mexican. Bulan said she’s not fluent in Spanish, but she is very good. Her r’s roll perfectly and she pronounces the names of Mexican cities as if she’s lived there her entire life. She credits her multiple trips to Spanish-speaking countries, radio shows, and a WhatsApp group in helping her learn Spanish. Though she does admit that sometimes she hits up Google Translate. Bulan has a fulltime job at Brooklyn College as the Associate Director of Communications and Marketing. She also freelances and does voiceovers and copy editing on the side. The money she makes in freelancing go toward travel expenses for her countless trips to Mexico. She does not get paid for being in the community board, for Direct Impact Coalition, or for studying Immigration Law at CUNY. How does she have time for it all? Just a few weeks ago, Bulan’s daughter came up with a deal. 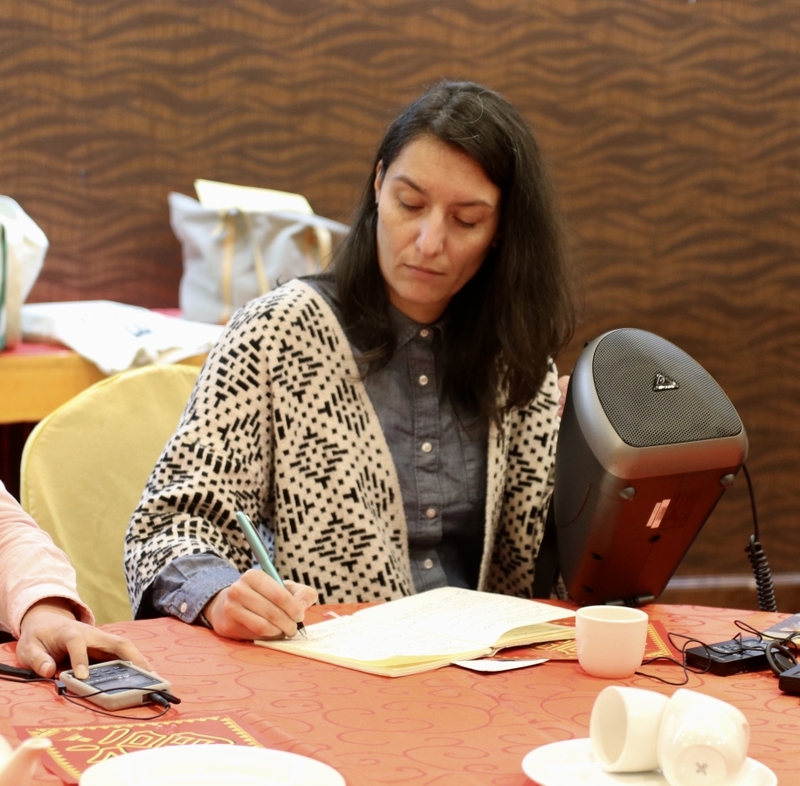 Whenever Bulan would take her daughter to a community board meeting or event, she would give her equivalent focus time; just the two of them. 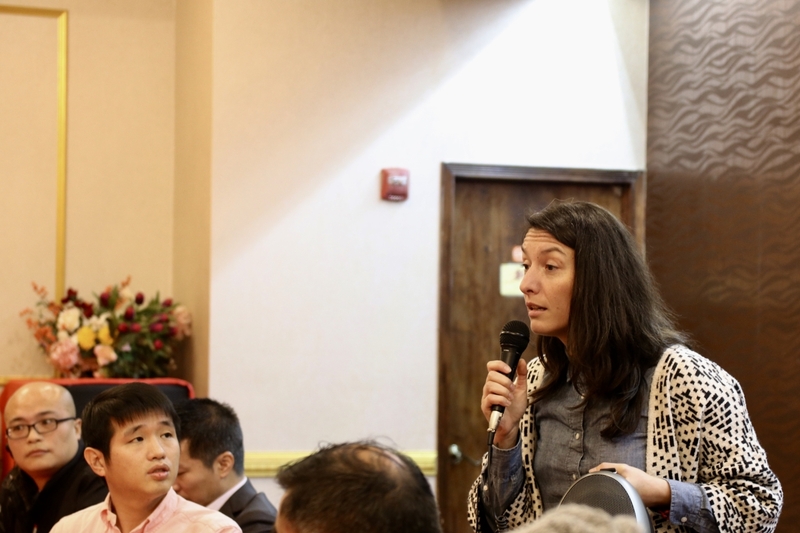 That’s not to say the nine-year-old doesn’t enjoy community board meetings. Bulan teaches her that it is important to be involved in the community. Right now, Bulan is focused on getting her masters in Immigration Law. She was always interested in law and never thought she’d have the energy or the money to consider law school. But here she is. She’d like to one day run a community center. And in ten years, she doesn’t know where she’d be. Then I asked her what kind of woman she wants her daughter to be. She took a deep breath and tears flowed out of her eyes. She said this is why she does it all. She does it for her daughter. For more information on Direct Impact Coalition or to donate, check it out here. Anita was nominated for a profile by her neighbor who wished to remain anonymous. Know of an extraordinary neighbor we should profile? Email your nomination to editor@bklyner.com or get in touch with us on social media. And check out another extraordinary neighbor we profiled, Nowshin Ali.